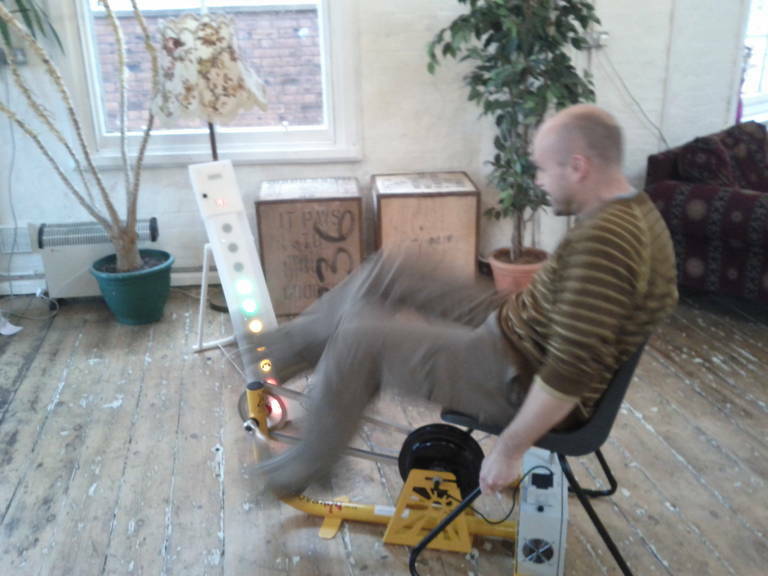 There has been a spate of pedal power projects in the re-innovation workshop recently. This post shows one recently built for Nottinghamshire Healthcare. 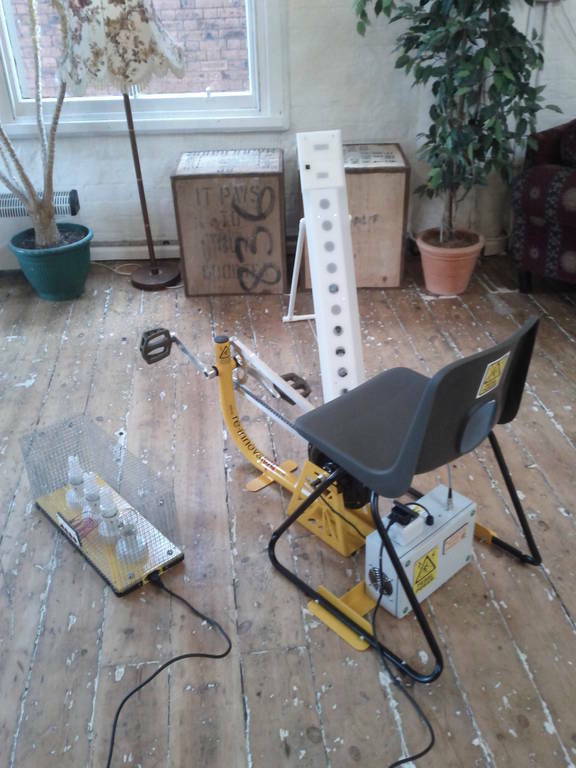 The pedal generator was designed as a challenge with a twenty second test to see the amount of energy the cyclist can generate. It also needed to be relatively portable (to fit within the boot of a car). 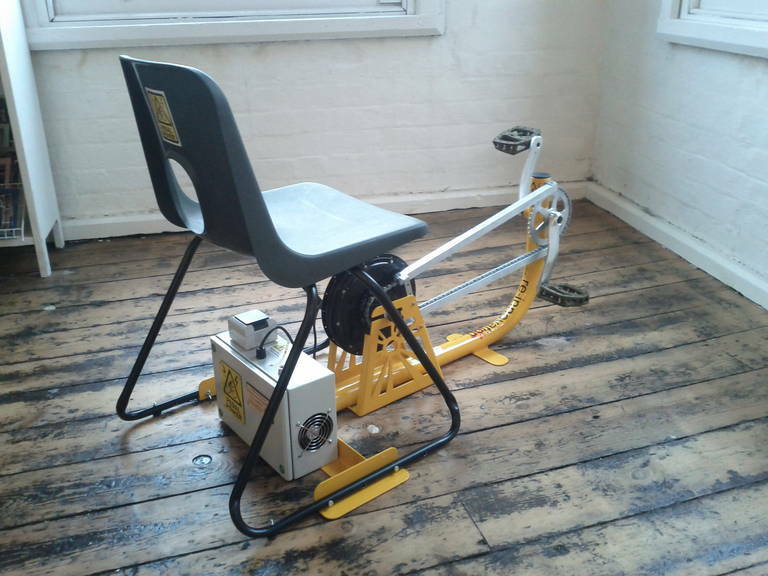 The chair is removable so the unit can easily fit into the back of a small car. 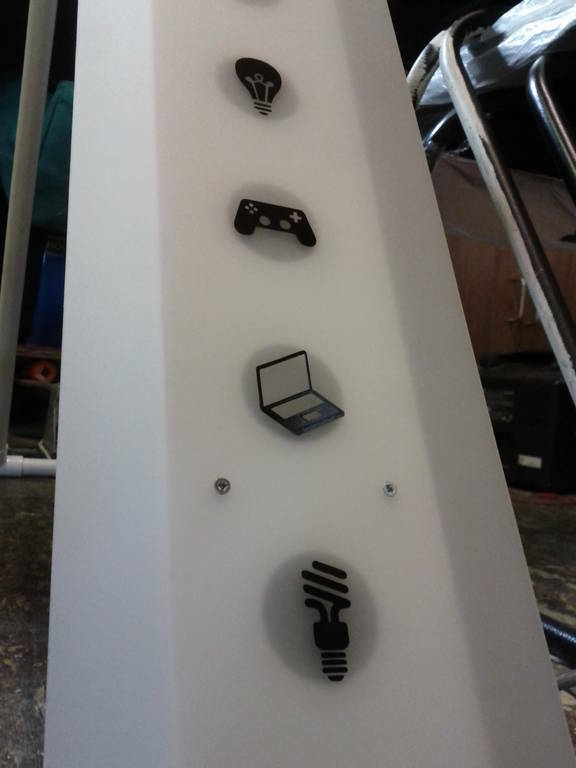 There is also an output for a rack of light bulbs. These can help to show the difference between the power consumption of different types of energy efficient lighting. Symbols were added to help explain what the power level generated could power. 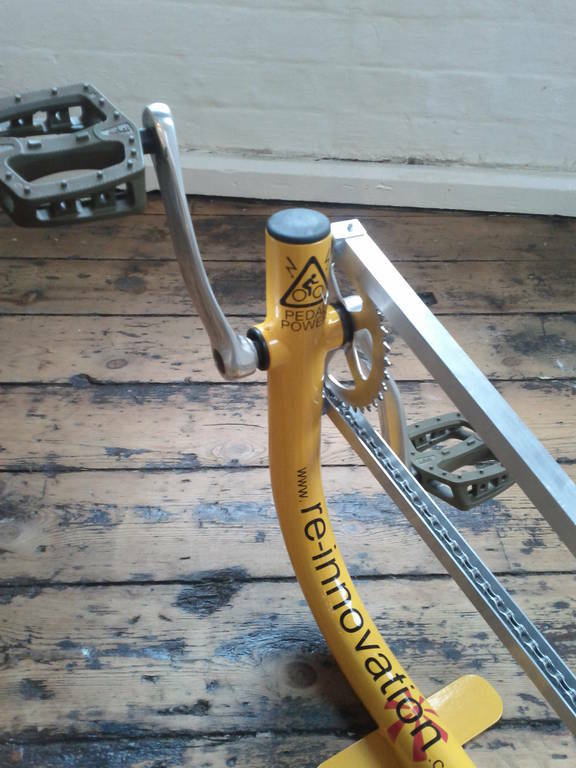 There are vinyl details and a chain guard to protect the fingers. 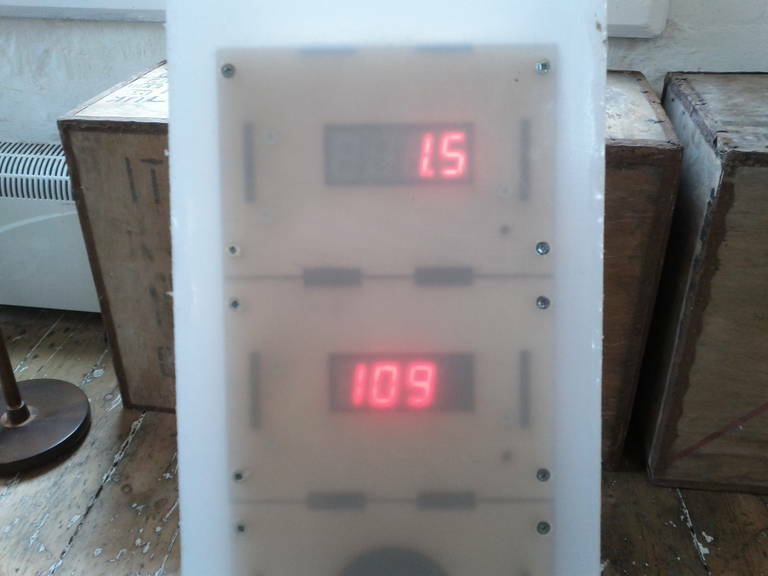 The basic circuit behind the LED bar graph display has previously been written up as an Instructable. It contains ten 12V dc LED clusters controlled by shift registers. There are also two of our 6-digit LED boards used to display the power and energy. If you are interested in similar devices then please contact us and maybe we can help with your project.